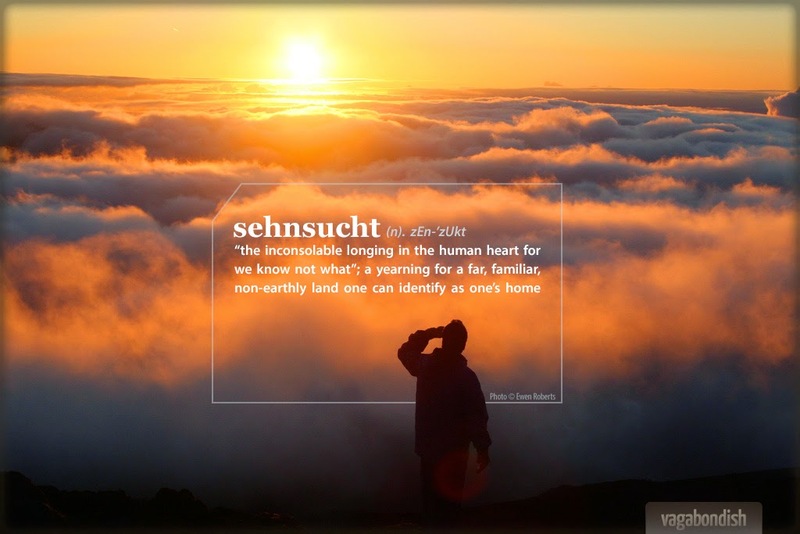 Sehnsucht is a German word that embodies a huge theme in all of Lewis's writings. The author of Hebrews writes about the heroes of the faith who "were longing for a better country—a heavenly one". “In speaking of this desire for our own far off country, which we find in ourselves even now, I feel a certain shyness. I am almost committing an indecency. I am trying to rip open the inconsolable secret in each one of you—the secret which hurts so much that you take your revenge on it by calling it names like Nostalgia and Romanticism and Adolescence; the secret also which pierces with such sweetness that when, in very intimate conversation, the mention of it becomes imminent, we grow awkward and affect to laugh at ourselves; the secret we cannot hide and cannot tell, though we desire to do both. We cannot tell it because it is a desire for something that has never actually appeared in our experience. We cannot hide it because our experience is constantly suggesting it, and we betray ourselves like lovers at the mention of a name. Our commonest expedient is to call it beauty and behave as if that had settled the matter. Wordsworth’s expedient was to identify it with certain moments in his own past. But all this is a cheat. If Wordsworth had gone back to those moments in the past, he would not have found the thing itself, but only the reminder of it; what he remembered would turn out to be itself a remembering. The books or the music in which we thought the beauty was located will betray us if we trust to them; it was not in them, it only came through them, and what came through them was longing. These things—the beauty, the memory of our own past—are good images of what we really desire; but if they are mistaken for the thing itself they turn into dumb idols, breaking the hearts of their worshipers. For they are not the thing itself; they are only the scent of a flower we have not found, the echo of a tune we have not heard, news from a country we have never visited." And how tempting is it to think that it is the books or music or movies or fill in the blank that is a source of joy. I love how Lewis reminds us that they are merely instruments (good images, even) that once again, can remind us of Who we are longing for, pointing us back to the only One who can fulfill us. And I know I also need to be reminded that if we worship those things in and of themselves, they will break our hearts. They will leave us empty, still searching for something more. "Do you think I am trying to weave a spell? Perhaps I am; but remember your fairy tales. Spells are used for breaking enchantments as well as for inducing them. And you and I have need of the strongest spell that can be found to wake us from the evil enchantment of worldliness which has been laid upon us for nearly a hundred years. Almost our whole education has been directed to silencing this shy, persistent, inner voice; almost all our modem philosophies have been devised to convince us that the good of man is to be found on this earth." - C. S. Lewis, "The Weight of Glory"